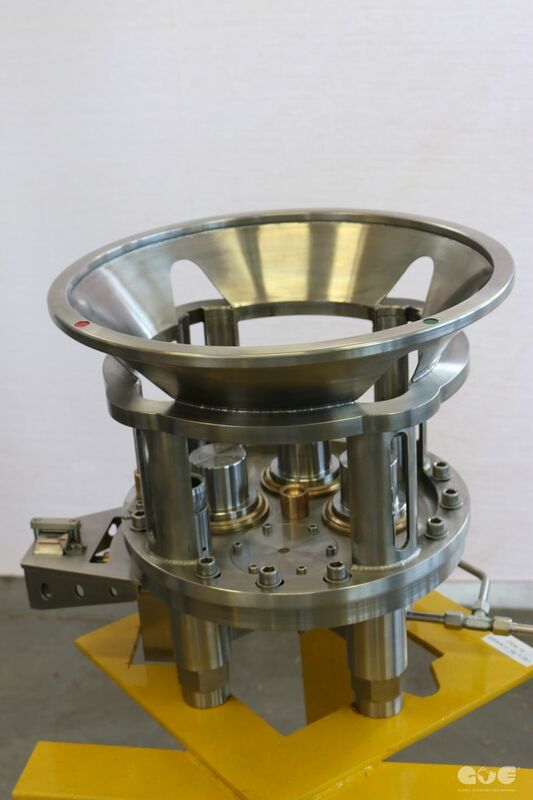 GOE team proudly presents the new, effective design of subsea hydraulic stab. 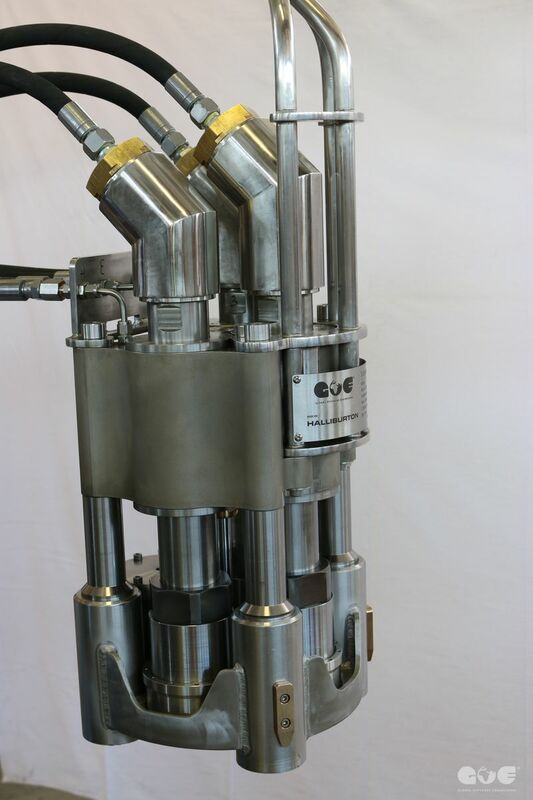 The Subsea Hydraulic Stab is designed to connect/operate three hydraulic inline connections at the same time. Stab is equipped emergency fail safe release system. In case of loss of ROV hydraulics Stab connector will automatically disconnect, allowing ROV to be recovered to surface for repair. 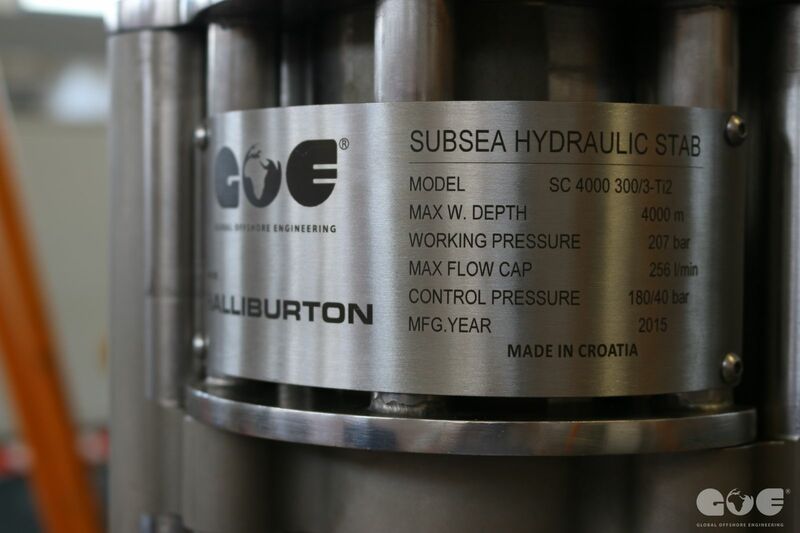 The first model of subsea hydraulic stab was designed and delivered in 2013. Until now, the Stab has been in around 100 operation without major issues. But, GOE design and engineering team is persisted to design more effective and reliable tool. Redesigned Stab Mechanical Position Indicator – SMPI enhances visibility and gives ROV operator information about the SHS position/phase at any moment. New redesigned guide cage improves positioning and alignment of stab during mating. Improved technical documentation with detail procedures for operation and storage. Three recommended types of spare part kits: Basic, Advanced and Maintenance. Easy order inquiry/order form for all spare parts. 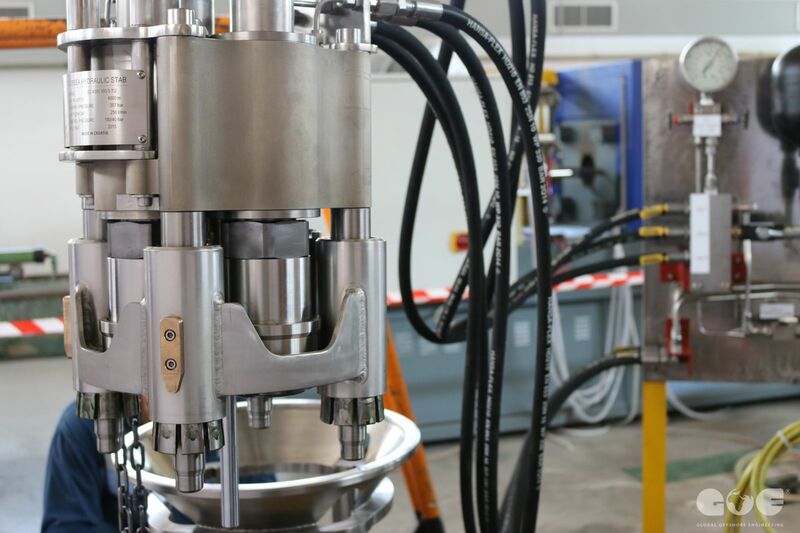 The redesigned SHS was ordered by Hulliburton and GOE team carried out complete product fabrication, assembly and product quality testing. In accordance with the contract, GOE was successfully delivered the Subsea Hydraulic Stab to the client, on time and within the budget. 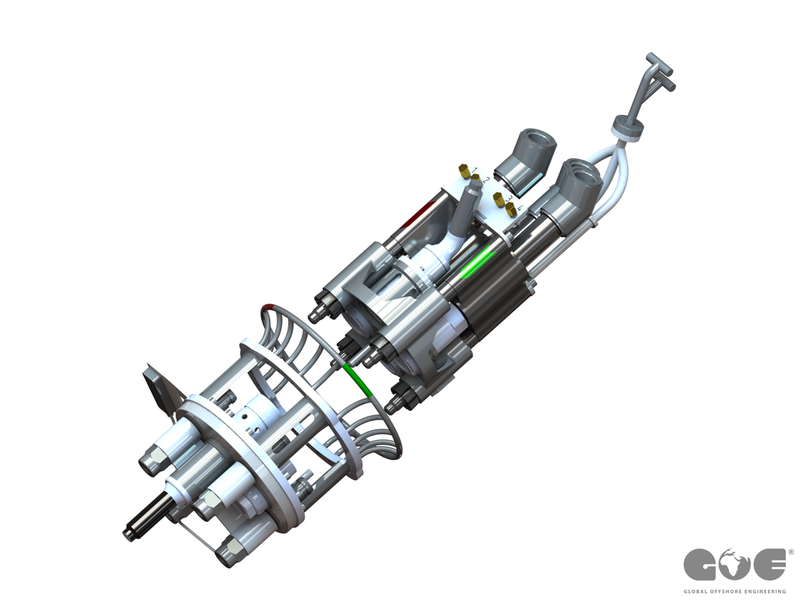 After testing of redesigned stab, upgrading of the first stab model in Brazil was performed by GOE engineer.